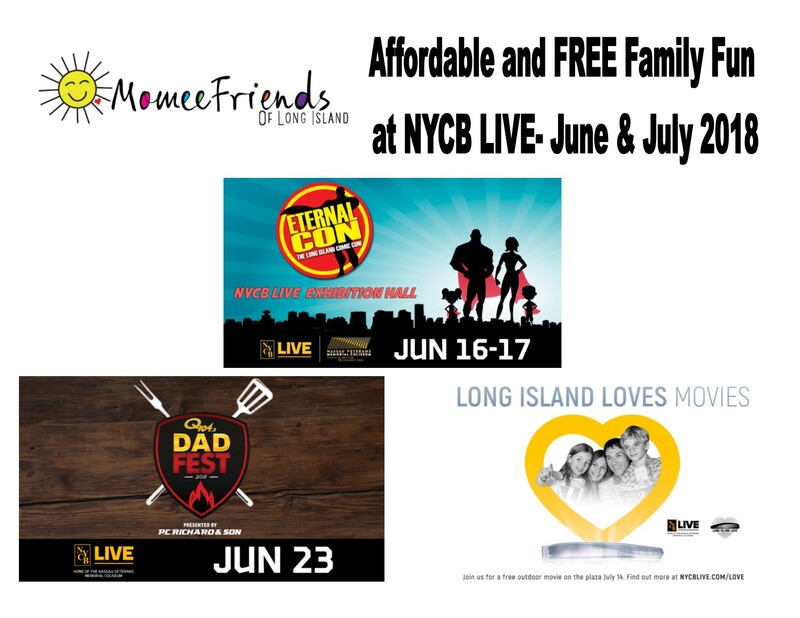 There is a lot of family fun happening starting this weekend at NYCB LIVE, home of The Nassau Veterans Memorial Coliseum. These free events/ special family promotions include Eternal Con, iheartmedia’s Dad Fest, and NYCB LIVE’s first ever Movie on the Plaza event. Eternal Con is coming to NYCB LIVE, home of The Nassau Veterans Memorial Coliseum June 16-17. “NYCB LIVE will be hosting iheartmedia’s Dad Fest on June 23. This event is free admission and is a great for all ages! This celebration of dads is one the whole family can enjoy featuring live music by The Bourbon Stills Band, a beer garden, food vendors and kid’s activities. Will you attend all the upcoming events with your family? If so , enjoy your time and be sure to tag NYCB Live on all of your social media posts!